Paddleboarding is an extremely fun activity but it can come at a hefty price. What if we told you that with just a few materials and some spare time you can create your own customized paddleboard? 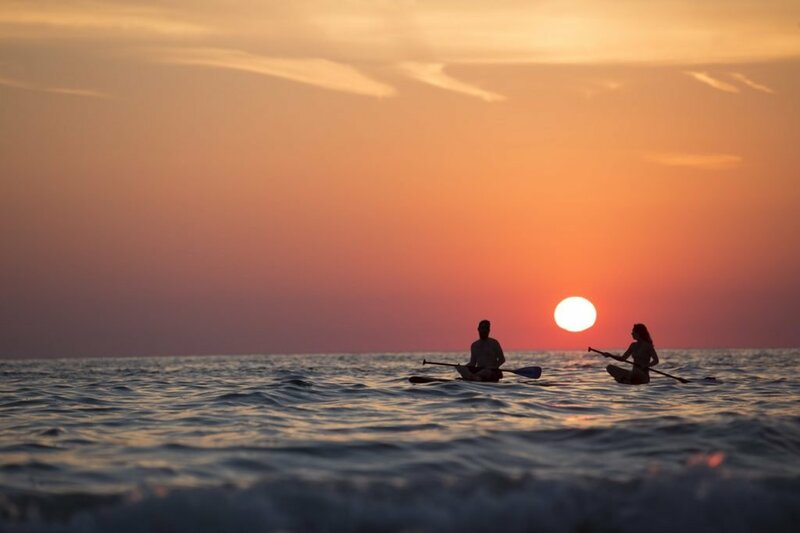 All you need to do is follow our step-by-step guide and in no time you will know everything there is to know on how to make a paddleboard. Let’s get on with it. First, we will briefly discuss some of the major benefits of choosing to make your own paddleboard instead of buying one. 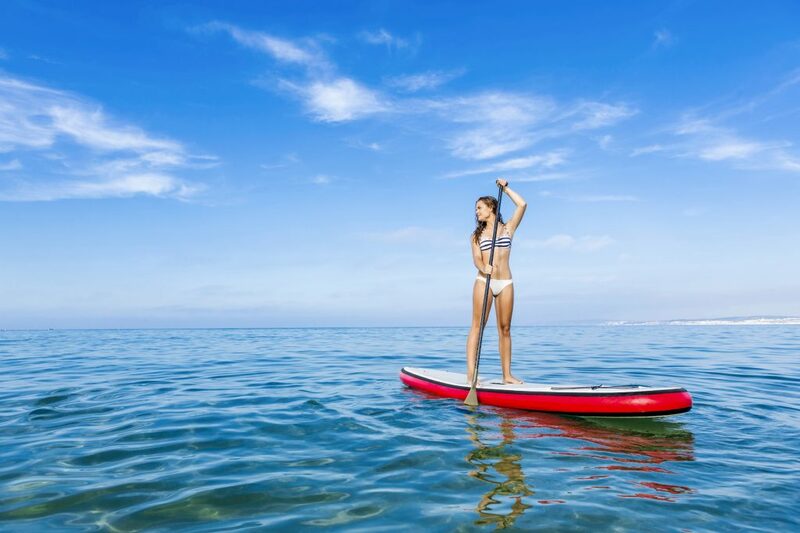 If you are not that type of person, though, here are our top choices for the best paddleboards out there. After all, not everyone has the time, patience, nor resources to build paddleboards in his garage, so buying one is completely acceptable and even recommendable if you do not trust your crafting skills. Some of our reasons might seem pretty obvious to you but we take it as a reminder of how easy it is to make something on your own instead of paying money for it. If we have already convinced you in this it’s time to get on with the actual project. We will divide it into stages for your own ease. Firstly, you have to make a template for your paddleboard. You can check various surfboard plans on the internet if you need help with the sizing, but in general, paddleboards are slightly wider than surfs (being around 25-26 inches). Both are equally as long, so length can be taken from traditional surfs and it is around 10-12 ft. At the tip, your paddleboard should be rounded and not pointy. If you have a friend with a board you can use it as a template – simply trace one of its sides onto your paper and then flip it over so that the shape comes out symmetrical. Glue several sheets of your chosen material (foam) together. You can put wooden dowels in the midsection for added stability and strength. To spread the glue evenly, a great tool you can use is a plastic trowel. Use the weights to keep everything together until it dries out completely. Use the previously made template to cut out the shape into the foam layers you glued together. This has to be perfectly executed so don’t rush it. As the title of this stage suggests, you need to cut away the excess foam. You can use any type of sharp tool. Firstly, do the rough cutting then start cutting near your template lines but this time with a smaller, more fine cutting tool. Important: make an upward curve on your board in order for it to be enough buoyant when afloat. We know that carving this will be tricky, so once again, take your time. Once you’ve carved most of the foam and made the mold symmetrical, you can sharpen the curves using an orbital sander. Things will get messy, but getting the shape right will assure your board won’t sink. Plywood is a good top surface but it won’t look as good as the fiberglass. It is a tough material but if you opt for it you will need to finish it off with a layer of polyurethane in order to protect it from the water. That might complicate your project a bit. On the other hand, fiberglass allows you to do various paint jobs on your board. Finishing off the board with fiberglass involves covering the paddleboard with a fiberglass cloth and then coating it using epoxy resin. The resin sets extremely fast so you will need to be quick. If you want to add color, order a color pigment of your choice when getting your resin. Adding two layers should be sufficient. After this is done, make sure you sand any bumps and lumps and add more fiberglass to the weak spots of the board – the nose and rails. Things like handles, feet grips, bungee cords, and fins add to the functionality of your board and make paddling easier. Also, feel free to use any kind of waterproof painting materials to add character to your own paddleboard. 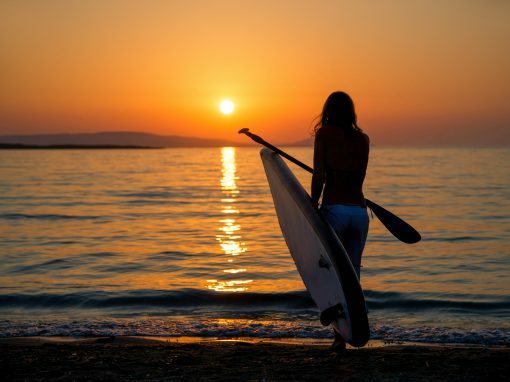 When you finally complete your project, all there is left for you is to go try your paddleboard out. 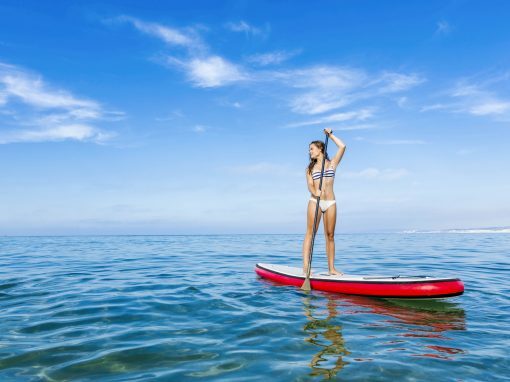 If you don’t know how to actually do paddleboarding, we have an amazing article on the topic. It can be helpful no matter where you got your board from. The best things in life are the ones that we make on our own and stand the test of time. You now have the knowledge on how to make a paddleboard, all you have to do is put this to use and get on with your project! 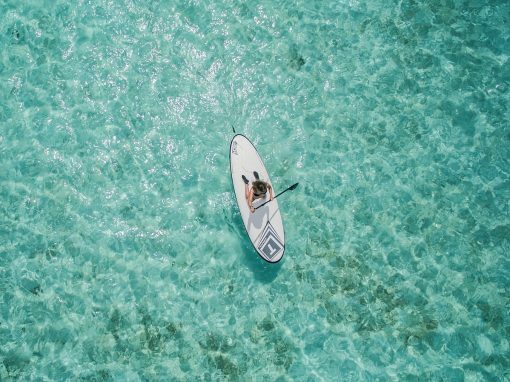 If you already have some technical knowledge you can add any additional steps to our guide, but in general, this is the safest and fastest way to make your own customized paddleboard.